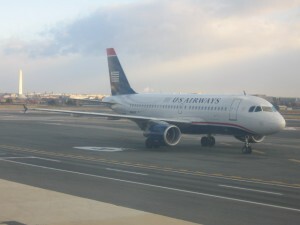 A US Airways aircraft prepares for takeoff at Washington Reagan National Airport. The airline has been silent on the issue since reports about apparent blocking surfaced last fall. Many travelers said they found award inventory on various Star carriers, using one or more of the publicly available sources — the websites of All Nippon Airways, Continental Airlines and Air Canada — but US Airways agents were unable to see those available seats. To some of us, that looked very much like StarNet blocking — manipulating the alliance’s award “middleware,” which provides access to any Star partner’s inventory on a first-come-first-served basis, to avoid paying other carriers for seats booked on their flights. The patterns resembled those on United, with the most filtering applied to Business and First Class cabins, though some fliers stumbled on coach seats as well. The most affected availability appeared to be on Lufthansa, but also on Swiss, United and others. In addition, it made financial sense for US Airways to be limiting access to premium partner awards. In the last couple of years, it has in effect been printing miles with lightening speed, as a result of extraordinary promotions it has had, including selling miles at 100-percent bonus. Many Dividend Miles members bought miles and redeemed them for Business and First Class on partner flights, which likely weighed heavily on US Airways’ budget. Several travel bloggers wrote about the issue, including Gary Leff on “View from the Wing” and Ben Schlappig on “One Mile at a Times.” Leff was more inclined to give the airline the benefit of the doubt, suggesting the problem might have been caused by technical glitches, as well as US Airways agents’ ignorance that some of their partners have First Class in addition to Business. Probably the most frequent difficulty Dividend Miles members have been experiencing has to do with intercontinental First Class awards on Lufthansa, Swiss and others, so I asked Wunder if US Airways may be trying to restrict access to those specific seats. “We have no restrictions on redemptions, regardless of class,” she said. However, she offered no explanation for the problem. The mystery continues. This entry was posted in Travel and tagged Air Canada, airline awards, airlines, All Nippon Airways, awards, business class, Continental Airlines, Divident Miles, first class, Lufthansa, Mileage Plus, Star Alliance, StarNet, StarNet blocking, Swiss, Swiss International Airlines, United Airlines, US Airways. Bookmark the permalink.